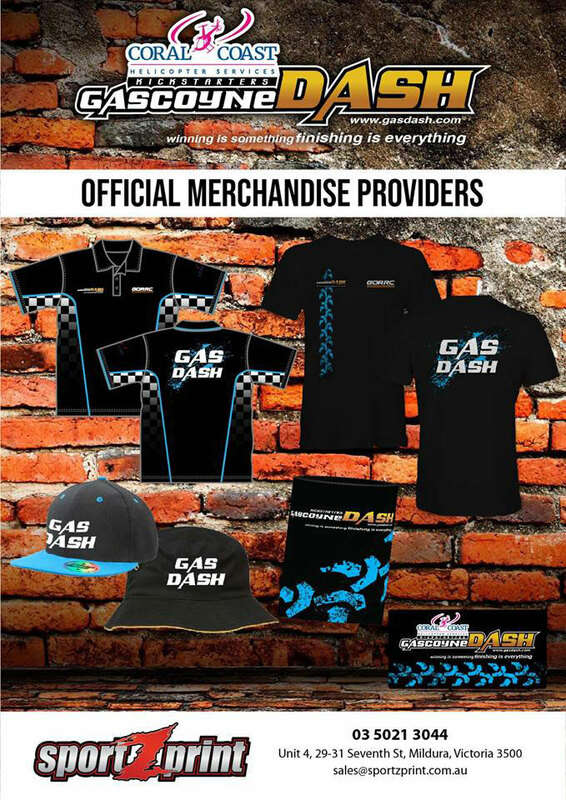 The Gascoyne Off Road Racing Club have today announced the partnering with Sportzprint as their official merchandise providers for the 2019 Coral Coast Helicopter Services Kickstarters Gascoyne Dash. The popular dual bike and car event runs between the seaside town of Carnarvon and Gascoyne Junction in remote Western Australia. Here’s a sneak preview of what will be available for sale at the event.